I’m happy to announce that BeerSmith 2.0 is well into its beta test phase, and the pre-order is now open. It took over three years and 55,000 lines of code to get to this point, but I wanted a solid foundation for the future of BeerSmith. I thought I would take a few minutes this week to share a few screen shots and some of the details of the new version, though I plan to publish a lot more in the coming weeks. The first thing to know is that BeerSmith 2 is not an “update” to BeerSmith 1.4 – it is a complete redesign of the program from the ground up. That has allowed me to redesign the foundations for the program and also take a hard look at what features worked best and which ones people would most like to see in the new version. 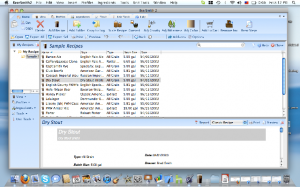 Rewriting the program also gave me a chance to go cross platform – for both PC and Mac. Over 60 people are testing the new program on both platforms, and the two versions are nearly identical on both systems. 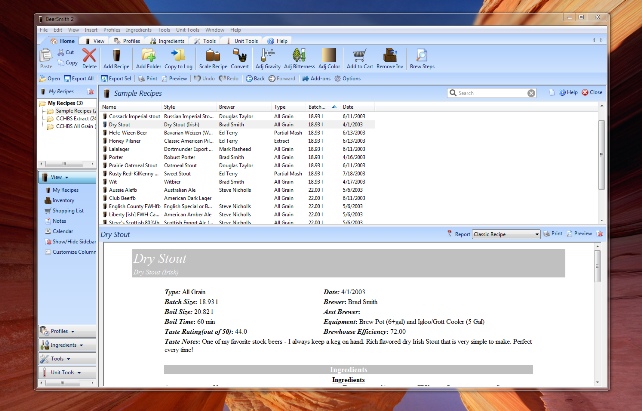 I intend to release the two versions simultaneously so Mac users will now have the same full featured BeerSmith program available on the PC. 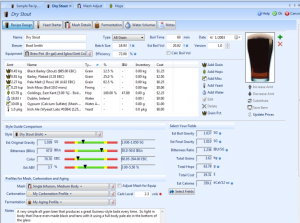 The basic platform for BeerSmith 1.0 was started way back in 2002 – and though it has served thousands of brewers very well over the years, it was starting to show its age. 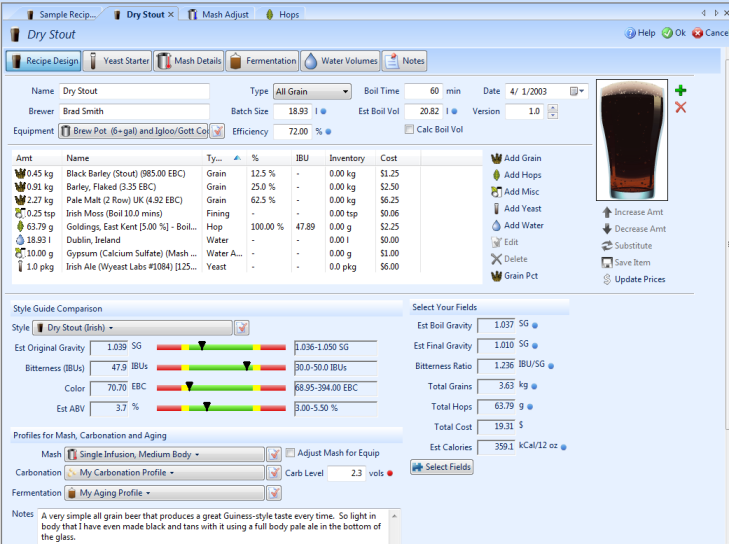 BeerSmith 2.0 has a significantly updated look and feel – including a ribbon bar, liberal use of high resolution graphics and icons, and a lot of options to customize the platform. 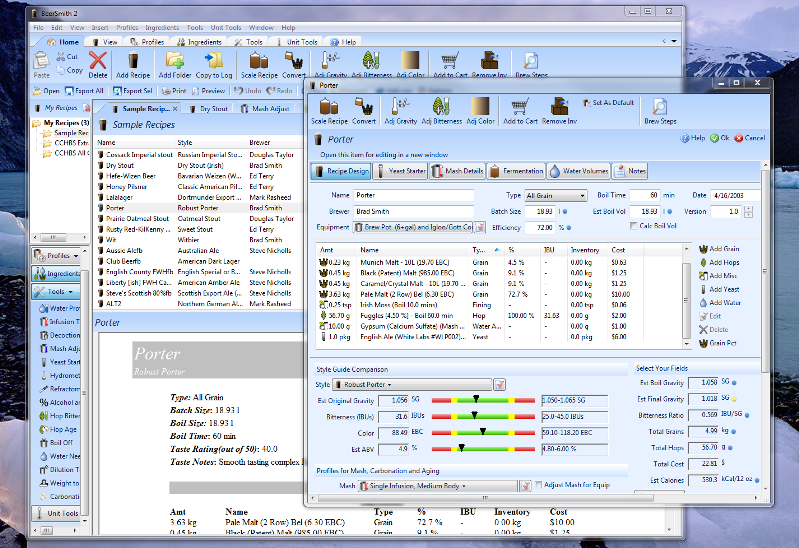 At the same time, the new version maintains the features you are most familiar with including all of the separate tools, custom reports and detailed ingredient databases you have used over the years. The improved recipe design tool gives you a graphical look at your recipe – from the large glass showing the color of your beer to the graphical style guide comparison. Since a lot of people asked for different fields to be added to the recipe design display, I decided to make them all happy – the section in the lower right lets you pick from dozens fields detailing your recipe. 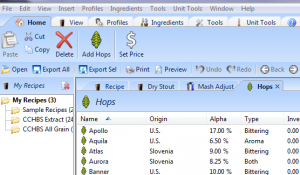 Many existing users of BeerSmith are familiar with the Equipment and Mash profiles that make scaling to match your equipment or selecting a new mash profile as easy as choosing from a list. 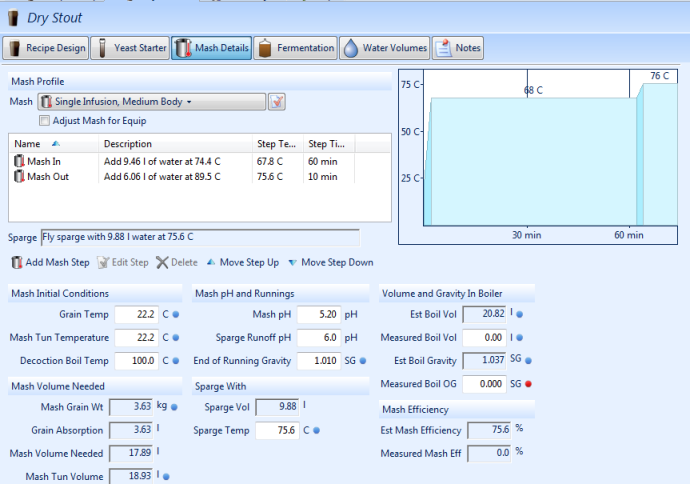 In BeerSmith 2, I’ve extended that concept to include carbonation and fermentation – you can pick from a preloaded set of carbonation and fermentation/aging profiles and apply them to a recipe. 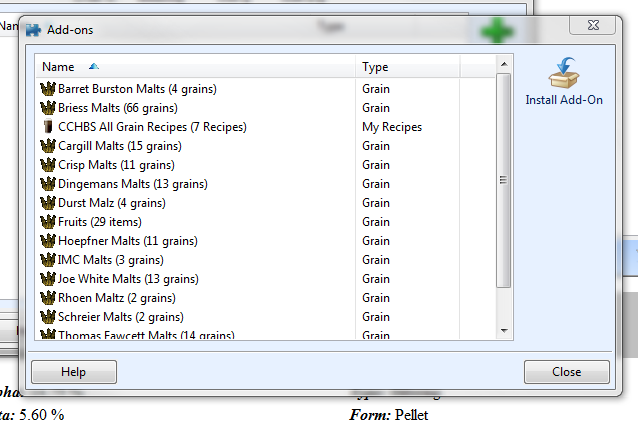 Perhaps one of the most frequently asked-for features was the ability to formulate recipes by grain percentage. 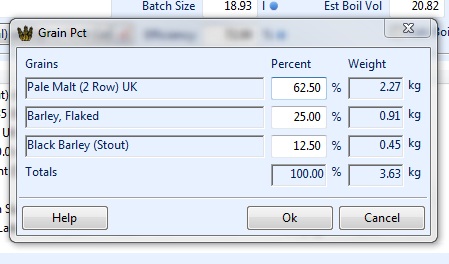 Now you can do exactly that – add your grains and then use the grain percent button to adjust the percentages. 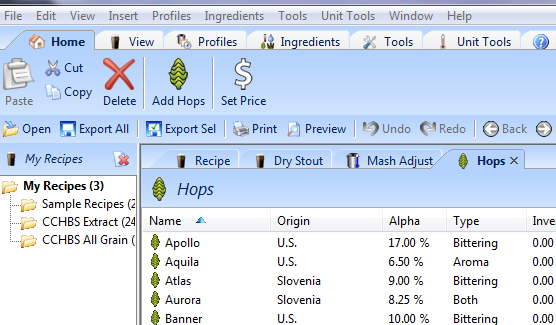 While the recipe design page still offers everything you need to build great beers, many advanced users wanted to be able to look under the hood to see details about their brewing session. So in addition to the design tab for building recipes, there are now tabs for yeast starters, mash details, fermentation, water and notes. As a beginning or even intermediate brewer, you may not every need to look at these details as the design tool has what you need to get started — but the details are there when you want them. 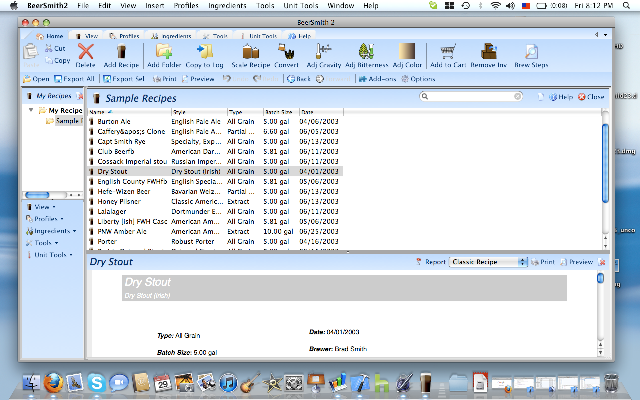 A lot of people liked the recipe packs and vendor specific ingredients I had as downloads for BeerSmith 1.0. But they did not like how hard it was to add them. 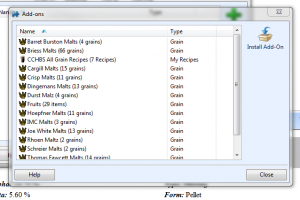 So for BeerSmith 2, I’ve added a “Add-on” manager that lets you grab updated ingredient files and recipe packs from the web. I’ve carried over the best features from BeerSmith 1.4 as well. These include step by step instructions for any recipe, multiple report formats (HTML and text, including the ability to make your own reports), the ability to read and write BeerSmith 1.x files – even on the Macintosh, full support for metric, english and imperial units, in-field math and unit conversion, and much more. BeerSmith 2.0 even has support built in for translation – making it possible to have non-english speaking versions built by the BeerSmith community. I’m targeting an early June release date for BeerSmith 2.0 – before the AHA National Homebrewer Conference in mid-June. The pricing and preorder information are available here – and if you order during the preorder period you can get a substantial discount! Try the “uncompressed DMG” link I posted last night – for some reason some people were having problems unpacking the compressed DMG file. I still don’t know why this is the case since it was created with the standard Mac disk tools — but most have had success with the uncompressed DMG if they could not open the compressed DMG. If that still does not work please send me a message via the contact-us link on the site and I’ll try to help you work through the problem. Thank you for all the effort and time you’ve put into this new app! This is an amazing project. My brewing partners are running Windows and I’m on a Mac. It is wonderful to be finally able to use the same brewing application and share recipes easily. A couple of comments on the current build. Please, please remove (or, even better, allow the user to remove) the word “My” from Recipes. It’s inconsistent (you aren’t saying My Equipment, My Water, My Profiles, My Ingredients etc.) and it’s inaccurate (I have others’ recipes in there including your samples). I noticed that my trackpad scrolling and mouse scroll wheel work everywhere except in a recipe window. Is this going to be a challenge to correct? 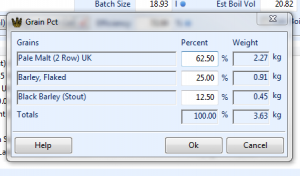 Looking forward to being able to import my BeerAlchemy xml files soon. Does the french translation now exist for the 2.0 or 2.4? BeerSmith 2.0, Spanish version ??? Hi – There is a translation board on the BeerSmith forum at http://beersmith.com/forum that has most of the data files in Spanish. Last I checked two people were working on translating the program as well. When will an iPad app be available. Hi- I’m working on a cloud service to share recipes first as it is needed to properly support the mobile versions. I plan to attack the mobile platforms after that. Love the program, and psyched for a true update to it, however, a lot of brewers I know, myself included, want to switch over to a tablet for a slew of reasons……How about Android or Ipad support? You’d make a killing on the apps, and we’d all get the portability we want and need….? I’m working on an online service now to allow recipe sharing (and act as a server for sharing recipes to your mobile device). As soon as I get that launched I’m going to start working on the mobile platforms. There is a forecast of BeerSmith translation in Portuguese (Brazil)? 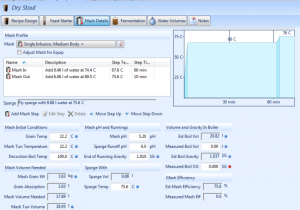 Does Brewsmith address Water chemestry and predicting mash ph? I could not find any info regarding the trial version capabilities. Everything seems to work fine, but when i try to prints, done of the data prints. Does the trial version not allow data? All page graphics and titles print.